Hooray for our Marathon Runners! Huge CONGRATULATIONS to all of our wonderful marathon runners, who completed the Oxford Half Marathon on October 7th. 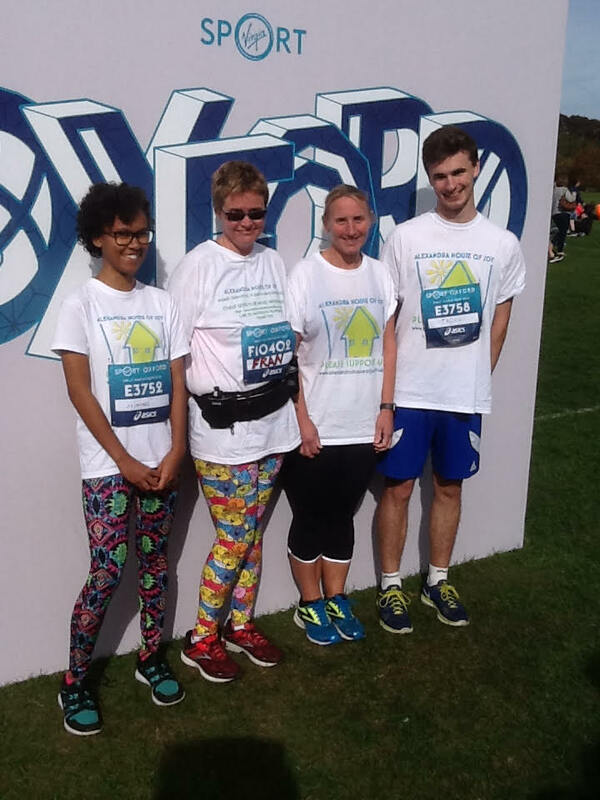 On a beautiful sunny October morning they completed the gruelling 13 mile challenge, raising over £2000 for Alexandra House of Joy. A great big Thank You to you all. Thank You also to Bryan at Tesco and Amanda at Warburtons for supplying all the food and drink that kept the Alexandra House of Joy team going throughout the day and of course Thank You to anyone who kindly sponsored any of our 6 runners.